RIMOUSKI, Que. 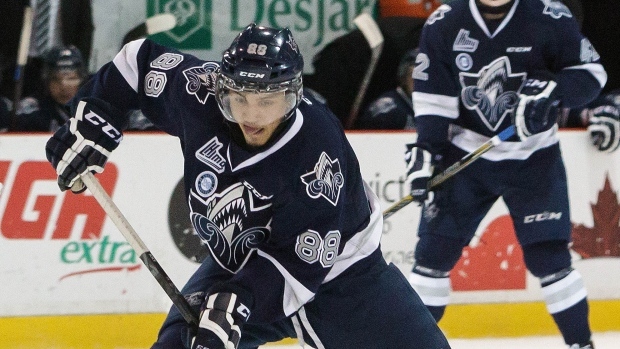 - Michael Joly scored 2:13 into the second overtime period to lift the Rimouski Oceanic to a 2-1 victory over the Quebec Remparts in Game 7 of the Quebec Major Junior Hockey League final on Monday. The Oceanic win the President Cup and advance to the Memorial Cup, along with the Ontario Hockey League champion Oshawa Generals and the Western Hockey League champion Kelowna Rockets. Quebec automatically advances as the host city. Christopher Clapperton had a power-play goal for Rimouski in the first period, and Joly had an assist to finish with two points. Nikolas Brouillard scored on a power play for the Remparts. Oceanic goaltender Philippe Desrosiers made 47 saves. Quebec's Zachary Fucale stopped 32 shots. The Memorial Cup tournament begins Fri. May 22.